Through our strategic partnership with IECA, we are excited to announce that all IECA members will receive FREE College Essay Organizer accounts each application season. Even current users will receive FREE accounts. Join the hundreds of independent consultants who are saving hours of time and working smarter with our easy-to-use web tool. New users will discover in less than a minute the tremendous benefits of our technology, and existing users can experience our new upgrades based on member feedback. Each member will receive 1 free student account, and any member purchasing 9 or more student accounts will get an additional free account. Enter "1" for the number of student accounts, and then enter promo code iecafree (all lowercase letters) and press the tab key. Do not enter any credit card information. 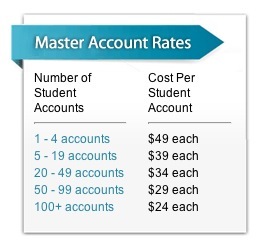 We'll add 1 student account to your existing master account. If you ultimately purchase 9 or more student accounts (or already have), simply let us know and we'll add a total of 2 freebies. College Essay Organizer is the only one-stop source for the college essay process, instantly providing all the essay questions for any selected colleges and delivering a personalized essay writing plan so your clients can work smarter. All essay questions for the 2011/2012 season are updated as soon as applications are released. Accuracy is guaranteed. 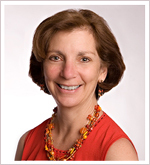 Why is College Essay Organizer right for HECA members? College Essay Organizer is ideal for both large and small independent consulting practices, streamlining the college essay process, ensuring greater efficiency, and saving time and money. Use Promo Code heca831 to receive an additional 10% off your purchase! Simply create your Independent Consultant account today and enter the code at the point of checkout. Are you considering diversity when selecting a college? When making a decision to attend a particular college, students generally weigh factors such as academics, location, and cost. We usually don’t think of racism as a deciding factor. However, that might all change after a student at Penn was published last week in The Daily Pennsylvanian discouraging minority students from attending Penn because of his encounters with racism on campus. In this article, Christopher Abreu recounts his humiliating experience in which he was taunted by other students based on the color of his skin. While the story is appalling, many disagree with Abreu’s solution. Discouraging other minority students from attending the university can only exacerbate a problem. Further, students have stepped forward to say that they have not felt racism to be as extensive as Abreu has indicated. According to an article in The Daily Pennsylvanian, not everyone’s decision will be affected by Abreu’s advice. Black student Daniel McCord stated, “I’ve never gotten any negative feelings about [the University] in that way…If racism was a prevalent enough problem at Penn, I think I would’ve heard about it.” While your comfort level on campus is incredibly important in your decision-making process, make sure to get feedback from a variety of students, faculty and alumni before forming your opinion.